After thoroughly wetting the hair, massage in a 10p sized blob of shampoo (or more depending on your hair length and thickness) into the scalp, really making sure to cover each area of your roots and massage it in for a couple of minutes or however long you feel that you need to. It doesn’t lather up much, but don’t be fooled into thinking that means it isn't cleaning. Rinsing it out doesn’t take any extra time to a non-exfoliating shampoo. Once rinsed out, only apply your conditioner to the ends of your hair. Before I start explaining the results that I've been seeing, I'll give you a quick low down on my hair type and routine and such for a reference point. My hair is fine, totally lacking in volume and can turn greasy very quickly. I do however also have times where my scalp can become very dry and irritated. I use natural hair products and avoid things such as silicones, SLS, parabens and so on and so forth. At the time of trying this, my scalp was in one of its dry and itchy stages. I tend to have to wash my hair every day. The Detoxifying Scrub Shampoo is one of those products where I noticed results from the first use. 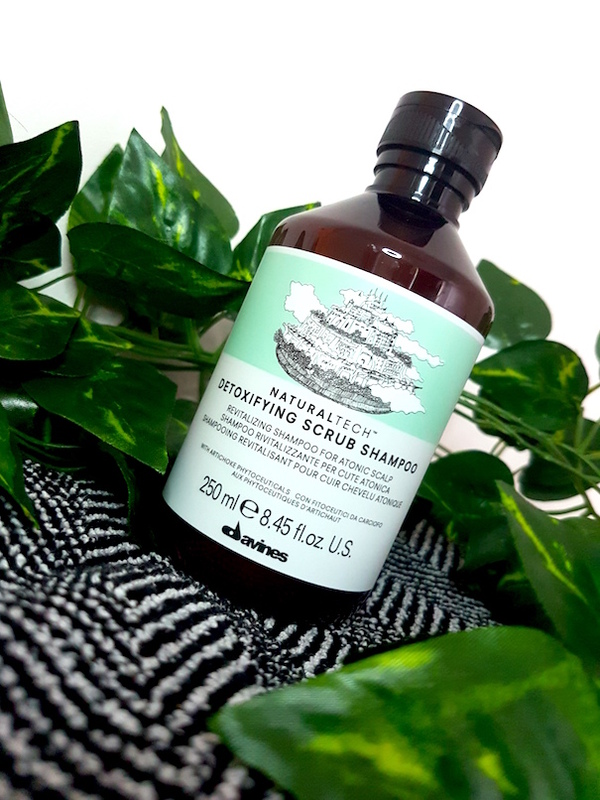 I’ve been finding that not only has my scalp been a lot less dry, but my hair has been feeling cleaner, more weightless and with added volume. My hair usually gets greasy pretty quickly, but since using this it’s been staying fresher and cleaner for longer. The exfoliators within the formula are very gentle on the scalp so there is no scratching or irritation as you use. It also has a beautiful, fresh scent to it that smells and feels really clean. This is a product that you don’t need to use for every hair wash. Depending on the condition of your scalp, you could get away with once a week, every other wash or whichever you feel is necessary. With that said, it is still gentle enough to be used for every wash or every day if you wish to do that instead. With the condition of my hair and scalp, I feel that a couple of times a week was a good start, but then a drop down to once a week is fine. It instantly made my regular shampoo appear to have the chance to show its true power too, giving better results than it used to. The only real downside of this product for me is the packaging. The shampoo is quite thick so it can sometimes be a slight pain to dispense. I feel that it may have worked better with a pump lid, but this may be a preference thing from person to person. I would recommend this shampoo to all hair types for a detox or as a clarifying shampoo. This way, one bottle is going to last you a while as you won't need to reach for it as often as your regular shampoo. I would also highly recommend this to anyone who is suffering with either dermatitis, dry scalp, dandruff or any other types of scalp issues. I think that its gentleness but effectiveness makes it a really good start to resolving any issues and will work fantastically alongside another shampoo that is designed to directly target the issues you have as this Detoxifying Scrub Shampoo will help your other products to be better at their job. At this point of the post, I'm going to quickly bring up a Twitter poll that I did a short while ago where you guys said that you would like some kind of rating system at the end of my reviews. Well, you spoke and I listened, so from now on I will be adding a score out of 10 to my reviews, starting today. If you're interested in grabbing your own bottle, you can find it at KlipShop. 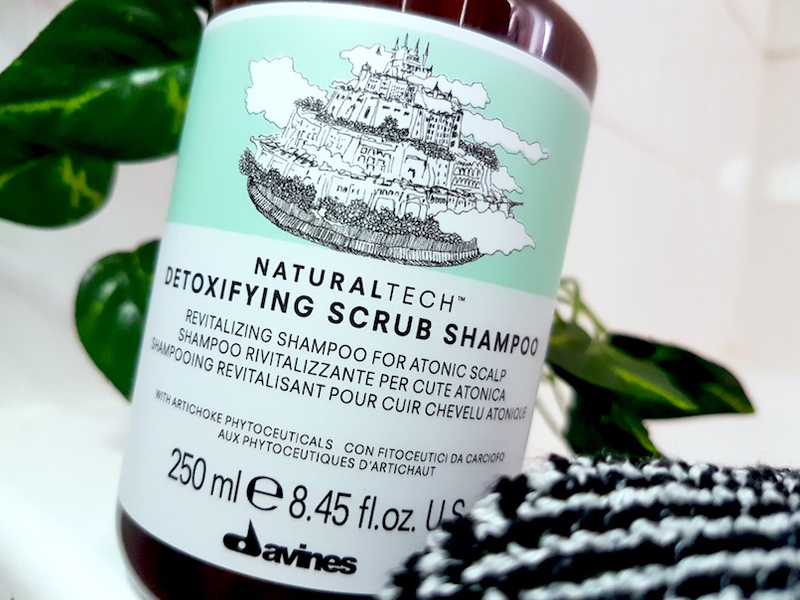 What are your thoughts on the Davines Naturaltech Detoxifying Shampoo? Would you or have you given it a go before?